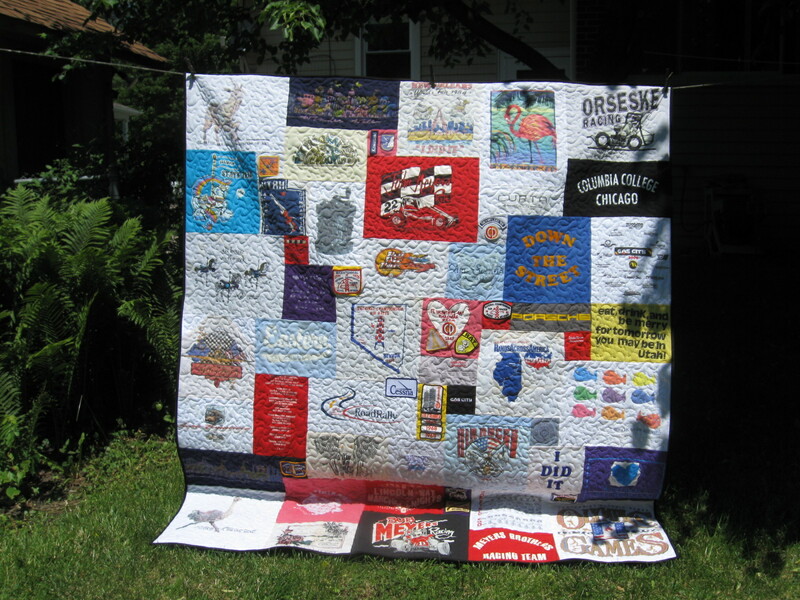 Thread: Ideas for memory quilt? Good morning! I'm off to work, but just thought I would ask this question first. I have been asked to make a memory quilt for a coworkers daughter that just grad from college. I have a few ideas for a pattern, but would love some better suggestions. The mom wants to use photos and maybe some fabric from favorite old clothes. My daughter made this quilt for me using Andrea T. Funk's "How to Make a Too Cool T-shirt Quilt". 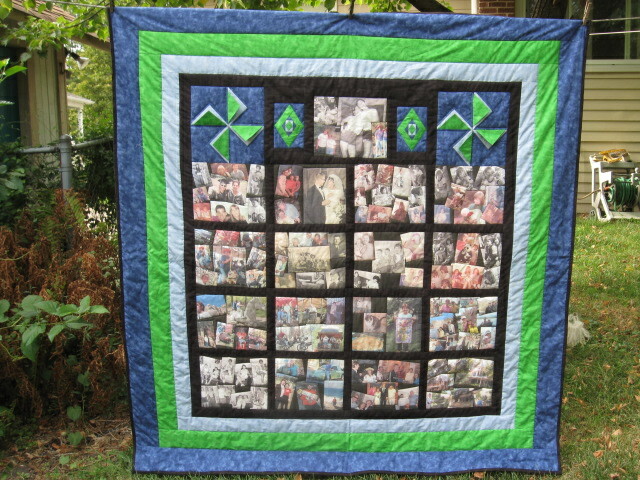 I made this memory quilt for my BFF's 70th birthday. I used Picasa to collage the photos onto Printed Treasures. Maybe you could combine the 2 techniques along with pieced blocks using your daughter's clothes.